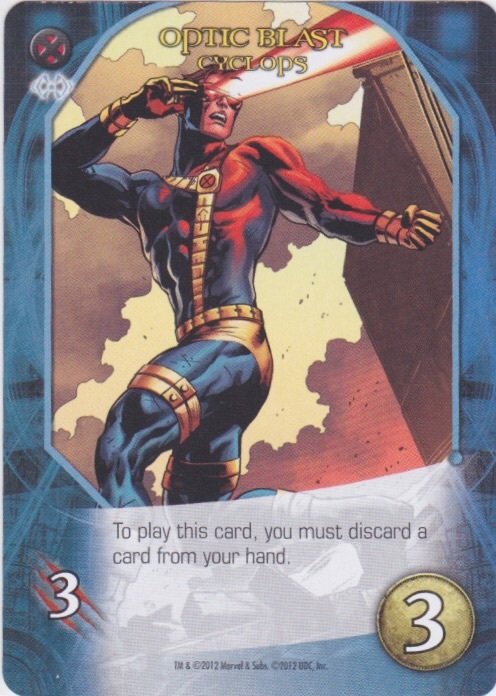 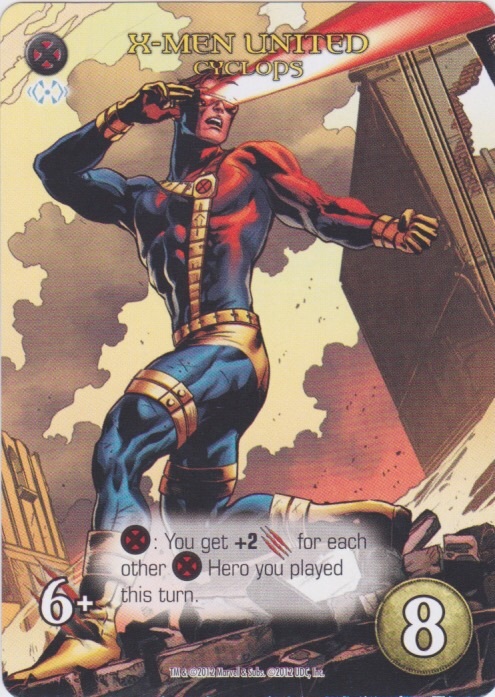 X-Men: You get +2 Attack for each other X-Men Hero you played this turn. 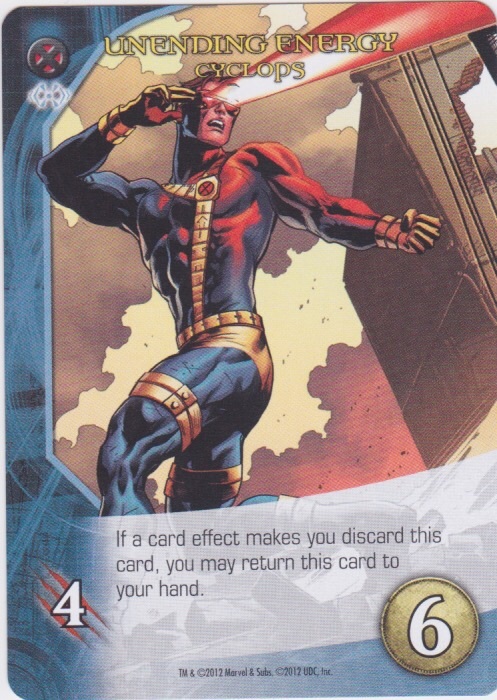 If a card effect makes you discard this card, you may return this card to your hand. 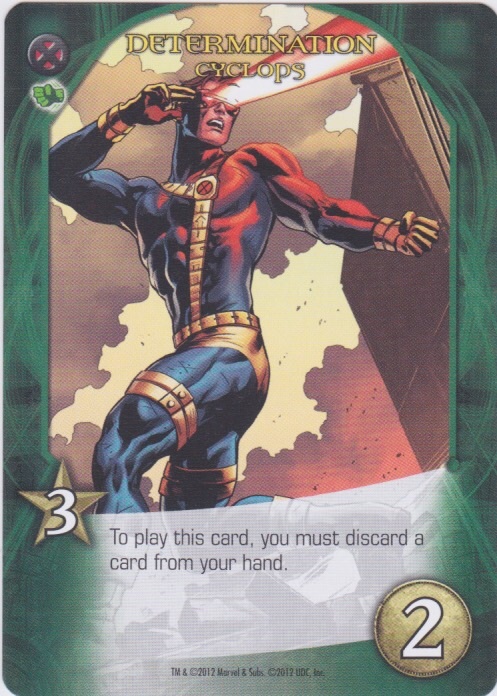 To play this card, you must discard a card from your hand.